Photos I've taken or processed during November 2014! This was taken near Warner, AB on November 9, 2014. 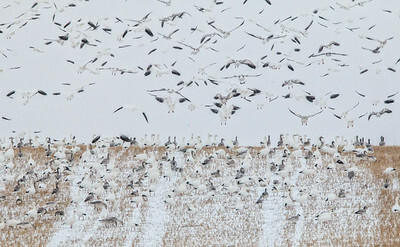 There were literally thousands of snow geese on their migration south. Same as previous - near Warner Alberta on November 9, 2014. There were literally thousands of snow geese on their migration south. Unfortunately, I was never able to get around and see what they were all watching on the other side of this ridge. 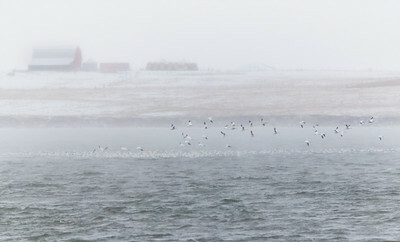 A scene looking across Tyrrell Lake (near New Dayton, AB) during a cold and windy snow storm (November 9, 2014). 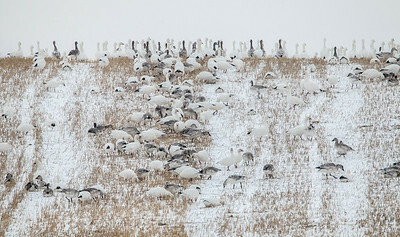 The snow geese are heading south! 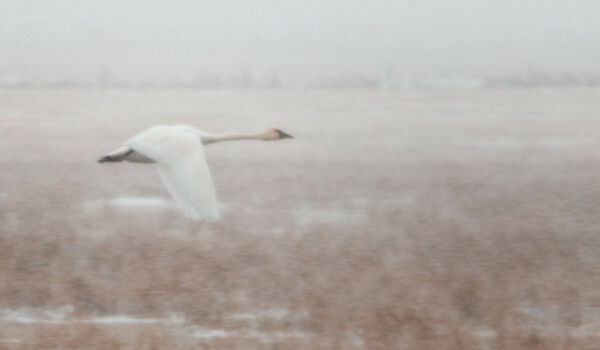 An adult swan with one of its young from this summer take-off from a pond near Vulcan, AB during a November snow storm. Winter is definitely making a statement. 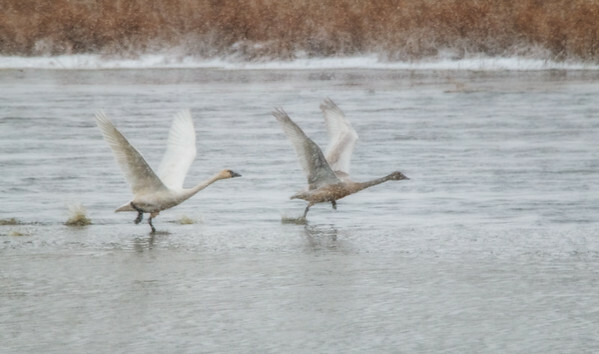 This swan was flying and it was snowing (November 9, 2014). I panned along with it and got this more abstract take on its flight through the storm.